In this installment of the legislator profile series, Real Facts NC examines Representative John Blust, a member of the Guilford delegation serving nearly 20 years in the NC House and Senate. Often, Blust tries to portray himself as a political maverick but has found it difficult to stand up when it really counts. View the full profile here. 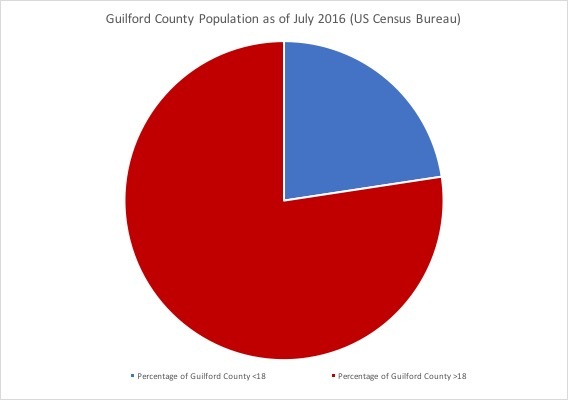 22.6 percent of Guilford County residents have been represented by John Blust for their entire lives. HB2 cost Greensboro $23.5 million in losses of championships and conventions alone and nearly lost Greensboro NCAA and ACC tournaments until 2022, which would have cost another $118 million. Blust occassionally speaks out against leadership, but his actions speak louder than his words. Blust criticized Democrats and Republicans alike for bending the rules to push legislation to the floor, but used the very methods he complained about to get a bill passed. Blust advocates for term limits for leadership and US Congress, but has remained in office nearly 20 years. Blust is willing to go on record with criticism, but often this is not reflected in his voting record. Blust opposed tax breaks and grants for companies that tilted the scale toward urban areas in one bill, but supported a budget that included similar provisions. Blust also opposed a transportation bond plan, but voted for the budget that included its implementation. Blust is a vocal opponent of environmental regulation, despite his vote against garbage juice and hog farm immunity. He voted for regulatory reform bills that damaged the environment in NC at all available opportunities.